The Bayard Bradford HubSpot + Power BI Integration helps business analysts and decision makers to analyze data fluently. Power BI offers a familiar Excel-based environment that is easy to learn and is already included with most Microsoft Office365 subscriptions. 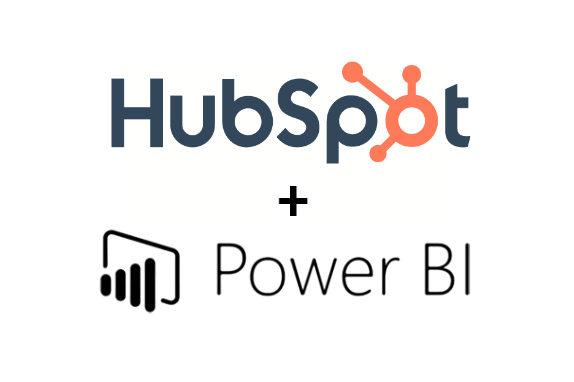 The HubSpot to Power BI connector has a simple point and click setup, and includes the required cloud-based server and data warehouse (provided by the Microsoft Azure cloud computing platform) with a template to simplify building your Power BI reports. We include setup assistance in the first month to ensure the connector, server, and database are all working properly. This integration requires both Power BI Integration by Bayard Bradford and HubSpot. Learn more. Data can be queried and edited inside of Power BI without affecting the integrity of the HubSpot database or the SQL server. This allows you to reconcile your sales data with your accounting data inside of Power BI, without the cost of integrating those two systems directly. The integration includes “contacts”, “companies”, and “deal” data. Power BI enables business users to dig deeper into data and find patterns they may have otherwise missed, with features like quick measures, grouping, forecasting, and clustering. If you’re familiar with Excel, you’ll feel at home in Power BI.